Fractional laser treatment for stretch marks. Have complete peace of mind. Treatments are conducted by our highly trained laser practitioners. Stretch marks appear when the skin stretches rapidly, which is caused by sudden growth or gaining a significant amount of weight. When the skin becomes stretched the middle layer of skin called the Dermis starts to tear. As a result, deeper levels of the skin start to show, which forms stretch marks. Strong fibres exist within the Dermis, which allow the skin to stretch as your body grows. However, when rapid growth occurs, the skin can become over stretched causing the fibres to break. The tearing within the Dermis causes blood vessels to show through, which Is one of the reasons why stretch marks initially appear red or purple. Eventually, the blood vessels contract (get smaller in size). The pale-coloured fat under the skin becomes visible and the stretch mark left changes to a silvery-white colour. How does laser treatment for stretch marks work? Our LUMINA Fractional laser allows us to target deeper areas of the skin, which is required when treating stretch marks. Essentially, the laser creates controlled and localised damage to the target area, which in turn springs the body into repair mode, creating new collagen. The extra collagen generated by the body causes the stretch mark to be raised from the bottom up and so the depression within the skin (scar) looks much less noticeable. With laser treatment for stretch marks, outcomes can vary for each individual. It is important to know that changes to collagen structure can take time and results are often visible several weeks after your first treatment. Treatment sessions typically take 30 minutes and a course of 4-6 treatments are usually required, however, it also depends on the condition of the skin and the area being treated. We pride ourselves on being able to provide the very best and most effective treatments for our patients. You can read more about our industry leading equipment here. The fractional laser treatment was voted ‘Most Innovative Aesthetic Treatment of 2014’ due to the excellent results produced after treatment. With The Fylde Clinic, you can have total peace of mind that you are in the hands of professional and highly qualified Doctors and Nurses. For more information on laser treatment for stretch marks, fill in our contact form. Most people are suitable for fractional laser treatment. 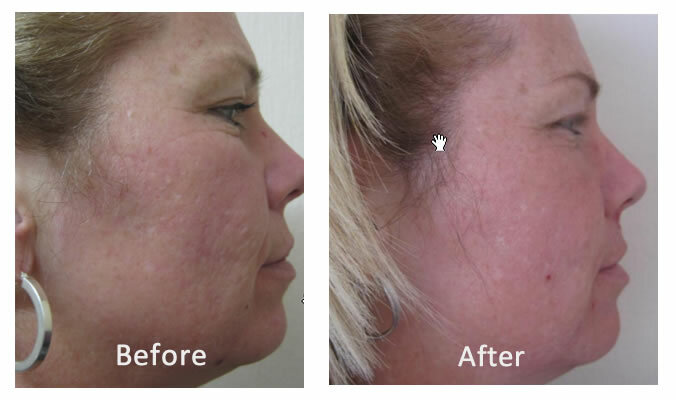 The treatment is recommended for individuals who are looking to improve skin texture, tone/elasticity, reduce wrinkles or improve the visible appearance of stretch marks or acne scaring. Multiple treatments are required. A course of 4-6 treatments is common for most patients, however a full assessment with one of our consultants will allow us to provide advice based on your individual needs. 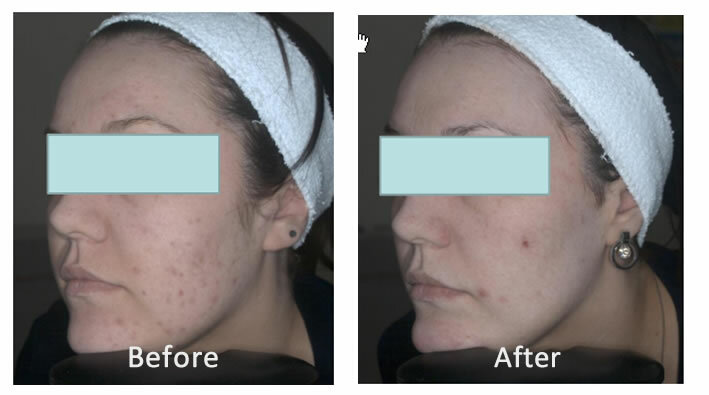 For approximately a week after the fractional laser treatment, the treated area will look bronzed and rough. The epidermal debris naturally exfoliates as the reorganized epidermal skin replaces the dead tissue. Gradually the treated skin naturally flakes away and skin colour, tone and laxity will all improve and continue to improve over time as the recovery cycle continues. After treatment, the treated area will look red and feel sunburnt, this however can be cooled down using damp cold flannels. The skin will also feel fairly tight after treatment and Vaseline can help combat this. After approximately 7 to 10 days the skin will return back to normal. Is there anything I need to do before the treatment? There should be no active tan or fake tan in the area to be treated, Use of sun-beds or prolonged exposure to sunlight is not allowed in the month prior to treatment and a SPF 50 must be used on the area between treatments. Suntans must be left to fade completely before treatment can start. Fake tans and gradual tanning products must also be fully faded before treatment can commence. Firstly you skin is cleansed and then we use a hand piece, which is moved over the area of skin to be treated. The hand piece then releases tiny microscopic laser beams which begin treating the area. The length of time in each session depends on skin condition and the area being treated, however, you can typically expect each session to last anywhere between 10 and 45 minutes. After the treatment, your skin will be cooled. After treatment is there anything I can do to reduce side effects? As well as using cool flannels to reduce the sunburn feeling, you can also use sunscreen (high-factor) for approximately 6 to 10 weeks following treatment. It’s recommended that you avoid heavy drinking (alcoholic), saunas or strenuous exercise. Activities like this are prone to worsen the redness of the skin. It’s common for the skin to appear flaky and bonzed on day 2 to 3. This is a positive sign and indicates that the skin is regenerating. Avoid peeling off any flaky skin and just leave it to flake off naturally. Avoid using cosmetics 48 hours after treatment. For at least a week avoid scrubbing the treated area. Do I need an initial Consultation? Yes – Before we conduct your treatment we need to review your medical history to ensure you are suitable for the treatment. We need to know of any medication you are taking including those purchased from a chemist or herbalist. We will also require you to sign a consent form before your treatment is carried out. Call the clinic or complete our contact form for more information, or to organise your consultation.